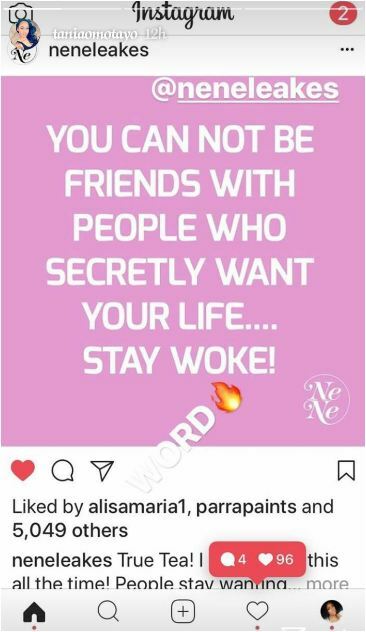 ‘You can’t be friends with people who secretly want your life’. 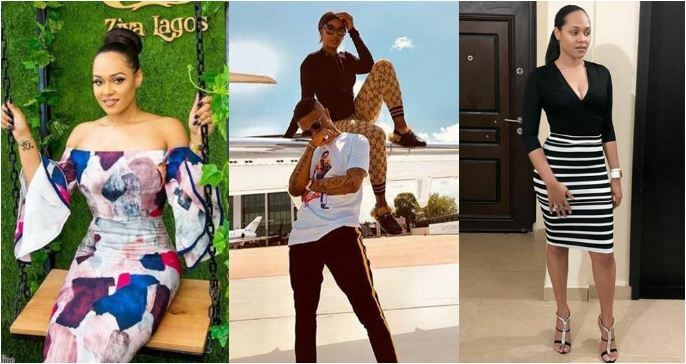 Wizkid’s ex, Tania shares as she unfollows Tiwa Savage on IGIt is a known fact that recently divorced female singer, Tiwa Savage and Wizkid have been rumoured to be lovers in recent times, and this is as a result of the public display of affection exhibited by them. 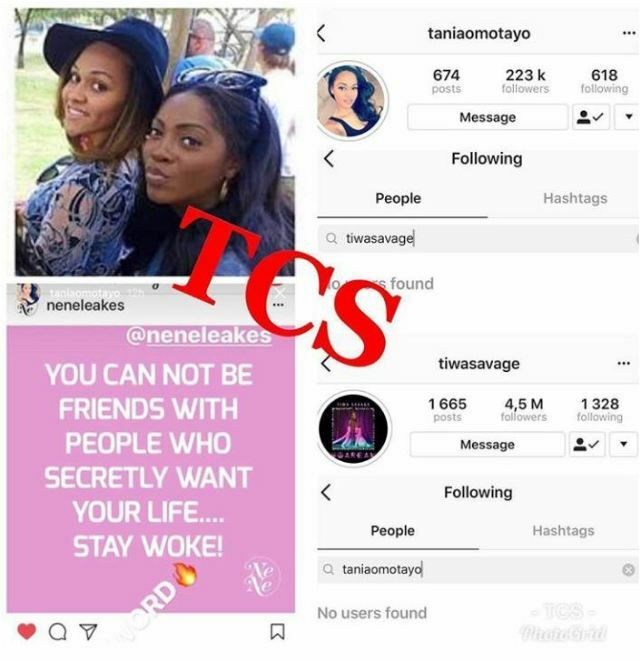 One of Wizkid’s ex girlfriend, Tania Omotayo is clearly getting rid of bad friends and cleaning up her friends list as she implied through her actions recently on social media. You cannot be friends with people who secretly want your life. Stay Woke! People are already speculating that it’s because of the new found friendship between her ex and the mother of one.